Samsung India just introduced its global range of portable speakers in India, with the launch of the Bottle design, the Level Box Slim and the Scoop speakers. The tech giant has also expanded its headset range, by introducing the Level Active & the Rectangle Headset. Senior Vice President - Mobile Business, Samsung India. Level Box Slim is a portable Bluetooth speaker which also doubles up as a power bank. The stand integrated into its back allows users to prop it up according to their needs, while the IPX7 water resistance means it can withstand splashes of water or a sudden drizzle. Featuring a compact design, it can be carried comfortably in one’s palm or back pocket. This portability combined with the splash resistance makes it equally suitable for indoors as well as outdoors. Level Box Slim’s Bluetooth speaker with an output power of 8 Watts delivers balanced audio levels. 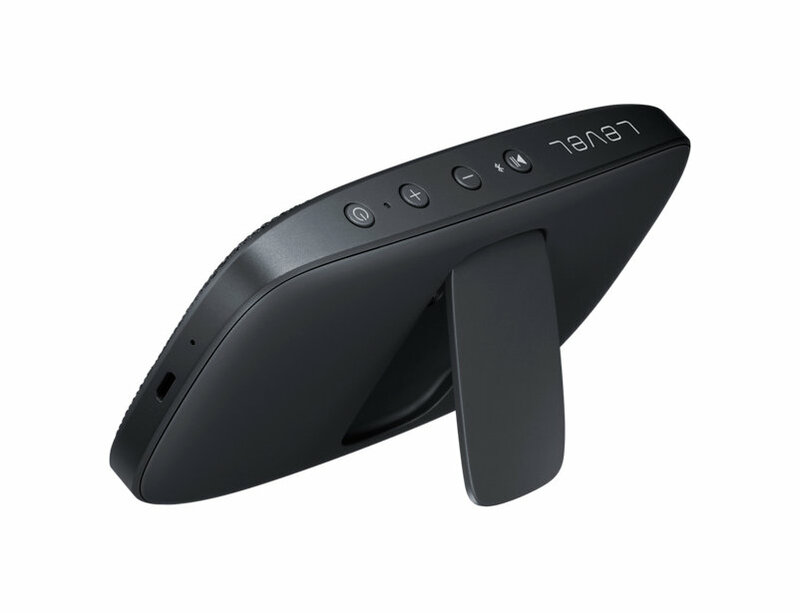 The integrated microphone allows users to use it as a handsfree set for voice calls, thereby eliminating the need to reach for their smartphone. The noise-reduction and echo-cancellation technologies further improves the quality and facilitates crisp and clear communication. The Level Box Slim is powered by a 2600mAh battery, which can provide up to 30 hours of music playback on a single charge and also functions as a portable charger, allowing users to top up their devices while enjoying their favorite music. 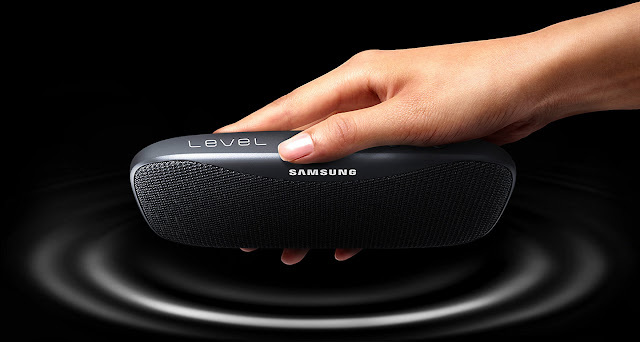 Samsung Level App allows users to check the status of their speaker’s battery, and easily adjust its volume settings. The Wireless Speaker Bottle is both an aural & visual delight as its 360-degree surround sound gives an immersive rich audio while the mood lighting enhances the listening experience. With support for wireless charging and a motion-sensitive UX, controlling and powering the Bottle design is a breeze. 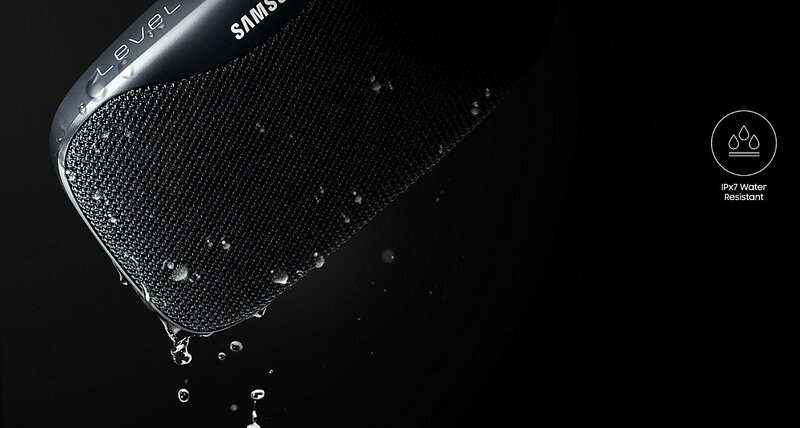 When holding the speaker, a water-pouring motion adjusts the built-in 16M-color LED lighting unit’s brightness, while a simple shake chnages its color. 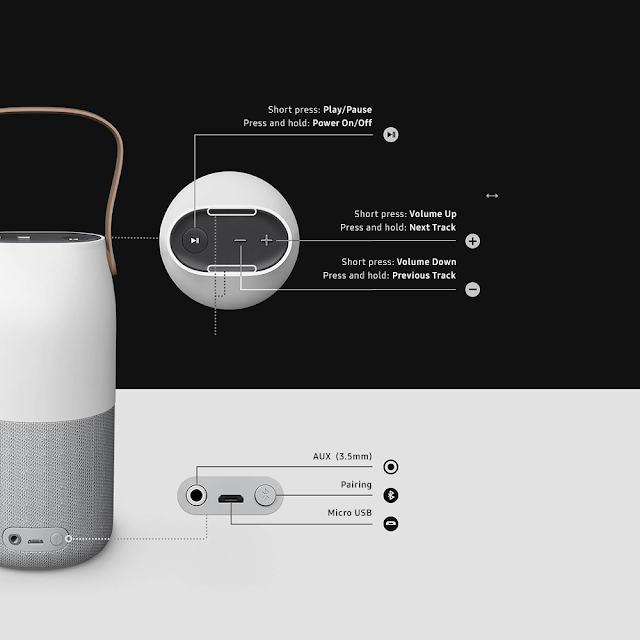 The Wireless Speaker Bottle design can be completely customized via the Lux Manager App, which helps users to find the perfect hue to tune both the moment and their mood. Users can listen to music by connecting the Bottle with a Bluetooth enabled device or a non-Bluetooth enabled device using it’s 3.5 mm AUX port and cable, but the LED functionality won't be available when it's connected through AUX. The Wireless Speaker Scoop design is a compact and stylish speaker built for enjoying powerful audio on the go. 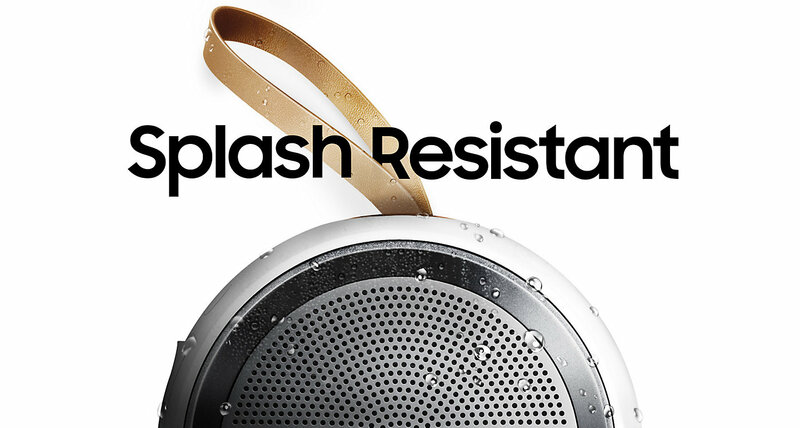 Equipped with a practical strap to facilitate easy handling, the Scoop has splash resistance and a sleek understated design making it suitable for streaming music both indoors & outdoors. Intuitive controls allow users to effortlessly find their favorite tracks, while the built-in microphone with noise-reduction and echo-cancellation technologies, just like Level Slim Box, help users to field calls from the device itself. 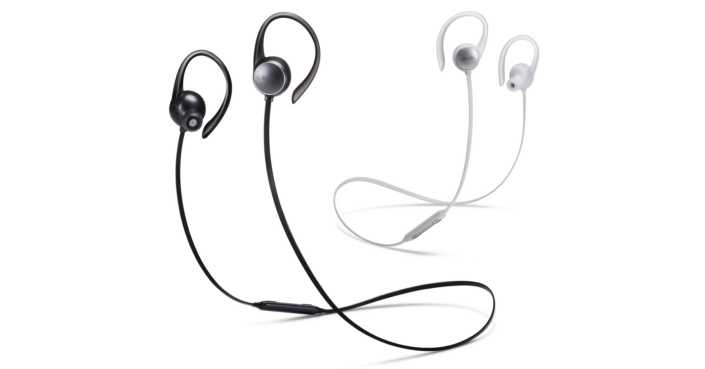 The Level Active, as the name suggests, is a Bluetooth-enabled earphone specially designed for exercise and other outdoor activities. 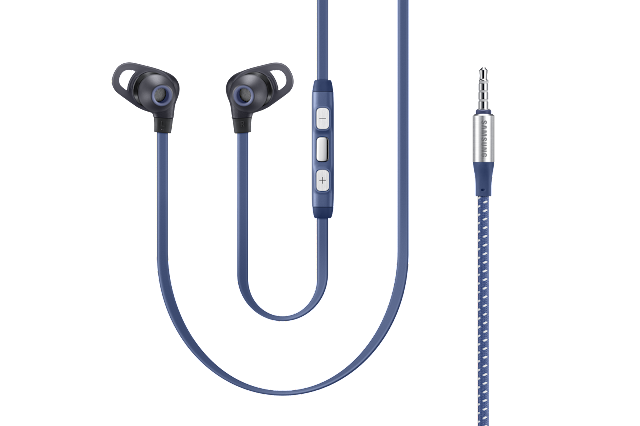 This headset comes with soft silicon earhooks which, along with the comfortable wingtips and in-ear ear buds, make it comfortable for people on the move. The Level Active is also splash resistant, allowing users to work out without worrying about sweat or a quick drizzle damaging their earphones. Since it has the Active tag, Samsung has integrated the device to help users in their daily workout routines. Using the Active key, users can control their headset to monitor their workout. They can even connect to S Health on their smartphones using this key and record information for walking, running, cycling or hiking. The Rectangle Headset packs powerful sound into an attractive packaging, which is probably the best in its segment. Sporting a sturdy, fabric-and-metal construction with a flat tangle-free fabric cable and DLM structured speakers for top-notch sound, the earphones demonstrate both stylish designing and balanced, high-quality audio. Samsung Level Box Slim will set you back by Rs. 6,699, while the Bottle speaker costs Rs. 4,999 and the Scoop speaker is priced at Rs. 2,799. The Level Active and the Rectangle Headset are available at Rs. 4,999 and Rs. 1,899 respectively.